This cultural touring journey to Darjeeling, Sikkim and the ‘Dragon Kingdom' of Bhutan will appeal to the Himalayan enthusiast keen to appreciate the culture and history of the East Himalayan Kingdoms. We include time in the renowned hill station of Darjeeling and gain memorable views of Kanchenjunga – the third highest mountain in the world. In Sikkim we visit the Rumtek Monastery in Gangtok, and Kalimpong, where trade thrived between British India and Tibet until the early 1900's. We drive across the border to Bhutan where we visit the famous Taktsang Monastery and make the short drive to the capital of Thimphu, where we have ample opportunity to wander the bazaars before crossing the Dochu La to Wangduephodrang and the remarkable Punakha Dzong. 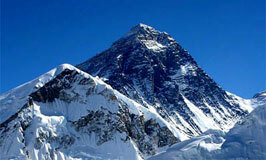 East Himalaya provides a wide potential in tourism that has yet largely remained unexploited. The perennially snow-capped mountains, lush green tropical and temperate forests, gurgling streams and the rich flora and fauna – a true Shangrila or “Nye-mae-el” which simply means ‘heaven’. Situated in North East India, just south of Sikkim, Darjeeling provides the perfect ambiance of a hill resort with it’s mild climate and laid back charm. Its verdant hills and valleys are steeped in colour, and are interspersed with vast streatches of rolling green tea gardens. Presiding over all this is Mt. Kangchenjunga, the third highest mountain on Earth, looming over the northern horizon, giving a magical aura to the land that leaves one’s senses intoxicated. We are one of the leading inbound tour operating companies, a business for that friendly touch, with a team of hand picked young professionals who understand service industry very well. Although we have 500 different itineraries covering the entire spectrum of Indian sub-continent but our goal is to move away from “ONE SIZE, FITS ALL” approach and customize our services to each individuals needs. Hence we are very flexible and make a tailor tour to suit your market.